Battle Royale game genre is one of the best game genres. In battle royale games, you and other players land on a large map and fight for the survival. But there can only be one winner. Since the launch of PUBG Mobile, the developers have released many good titles on Google Play Store and each one lets you enjoy the best battle royale gameplay on mobile screen. If you are looking for good battle royale games, then we are here to help you. In today’s post, we have shared a complete list of best Battle Royale games for Android you can play on your Android device. Tencent has released two versions of PUBG mobile on Google Play Store. PUBG mobile is for high-end devices. And PUBG lite is available for low-end devices. The high-end version comes with three maps and lets you fight against 99 other players. One of the challenging maps in PUBG mobile is Miramar. But most of the players play in Erangel or Sanhok. Erangle is a very big map and each match in this map lasts for about 30 minutes. While sanhok is a small map and in this map, each match lasts for about 20 minutes. The lite version of PUBG comes with Erangel map and lets you face off 39 other players. Additionally, it(PUBG Mobile) also features arcade mode; War Mode, Mini-Map, Sniper Training, Arcade. Among all these, War mode is one of the best engaging game modes. If you have a high-end device, then you should try PUBG Mobile. Download – Here(Google Play Store). Download – PUBG Lite – Here(Google Play Store). PUBG Mobile is one of the best battle royale games for Android. 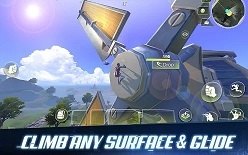 Survival Heroes is another one of the best battle royales games for Android. It combines the Multiplayer Online Battle Arena game mechanics with Battle Royale. The graphics of this game are amazing. As of now, it features a small map – magical Island. All you have to do is land in a good place and loot the resources; weapons, items(potions, traps, and more), and fight against the players. You will fight against 59 other players from all over the world. Survival Heroes game also features arcade mode. The game is well optimized. We have not seen any bugs yet in this game. Download – Here(Google Play Store). Garena Free Fire is the most popular and one of the best battle royale games for Android. Even after the launch of PUBG Mobile, this game is still among the top best 10 downloaded games worldwide. In fact, it is the most played battle royale game on Android. In Garena Free Fire, you will fight against 49 other players for the #1 rank. The game features a small classic map and each map last for about 10-15 minutes. Download – Here(Google Play Store). 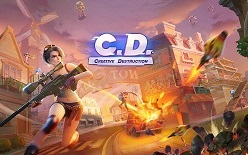 Creative Destruction is among top new best battle royale games for Android. Published by a new developer, this game comes into the light after the removal of fortcraft. Just after the release, the game hits over a million downloads on Google Play Store. It is a sandbox survival game with battle royale mechanics. Similar to fortnite, you can create structures with the crafting material. The game offers excellent graphics, UI, and gameplay. Download – Here(Google Play Store). Fortnite is not available on Google Play Store. Epic Game decided to not to release in Google Play Store as Google Play Store takes 30% per transaction. But the game is available to download from their official website and can be played on a high-end device. 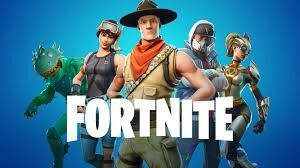 Download – Here(Link To EPIC GAMES WEBSITE). Cyber Hunter beta has started from today and will end on 26th October. There is no official release date yet. This game is from the creators of Identity V Game. Cyber Hunter game comes with breathtaking graphics and sandbox survival gameplay. 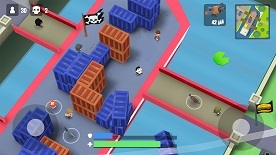 In the game, you will fight against other players on a large map(6*6). The last one wins the match. You can build structures using the cube to protect yourself. Download – Here(Google Play Store). Battlelands Royale is another one of the best battle royale games for Android. 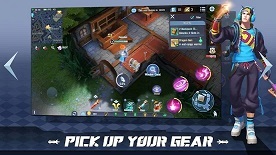 Published by Futureplay, the game features adorable graphics, small map, and the number of weapons, items. You will definitely love it. It comes with a small size and many features. Yeah! You can play with friends too. Download – Here(Google Play Store). So these are the best battle royales for Android 2018(worth playing). There are many more battle royale coming soon. We will add them in this list as soon as the developers release for all. So should I think I’m a milkbaby? First of all no one can say which one is better “PUBG” or “Fortnite” but you put Fortnite on number 5. “Freefire” on 2nd? Like seriously? Then when it comes to mobile, I would say creative destruction is a lot better than others from my experience.